I loved Mother Goose nursery rhymes as a child and Humpty Dumpty was one of my favorites. After the Fall picks up where the nursery rhyme left off. 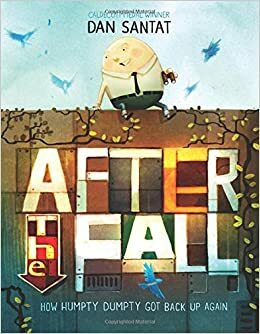 Since falling, Humpty Dumpty is afraid of heights. He tries to make the best of his situation, but realizes that he's missing out and decides to conquer his fear. This will be a great book to discuss one of the mindsets for learning, resiliency. Although I have to wait until October, this is definitely a must-buy book. Bad seed is bad. Readers learn all the things that make him bad, such as lying, cutting in line, and telling jokes with no punch lines. There is also a backstory as to why he is so bad. Although bad, the seed does some self-reflection and decides he wants to be good. This book has a positive message about how one can change their behavior. Kids can learn from the bad seed, but they will find it a humorous book, as well. 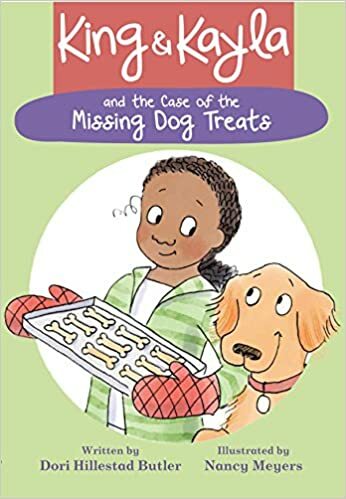 Kayla and her dog King have a mystery to solve. Someone has stolen their peanut butter treats. Kayla puts her detective skills to work in order to find the treats while King investigates, as well, to prove he is not the culprit. This mystery will entertain early readers. Readers also get a look into the mind of King who they will love. This is a fun series that I think my beginning readers will enjoy. This book is set in the 1980's in Kenya where AIDS is beginning to take the lives of many who live in Auma's village. Auma, 13 years old and an amazing runner, dreams of attending high school, but when illness strikes her family she must also take on the responsibility of caring for her siblings. This will be an eye-opening book for young readers as it shows how children in another part of the world live. 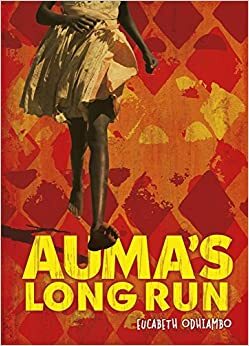 I was completely absorbed in Auma's story and gained some insight myself into how the AIDS epidemic was perceived by those affected by it in Africa. Although the topic is heavy, inspiration can be found in Auma's courage and determination. 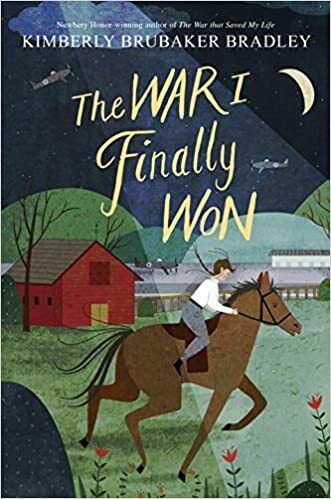 This sequel to The War That Saved My Life is as wonderful as the first. The book gives a glimpse into life during WWII, as Ada and her brother and their guardian deal with the hardships facing them. Ada is also learning to adjust to a life free of her mother and the clubfoot that she had surgery to fix. There is lots to admire about Ada as she shows kindness and courage. I am a fan of historical fiction so I found both of Bradley's book engaging and informative. Students who have read the first book have also loved it, so I am eager to share this one with them as well. This book publishes in October. 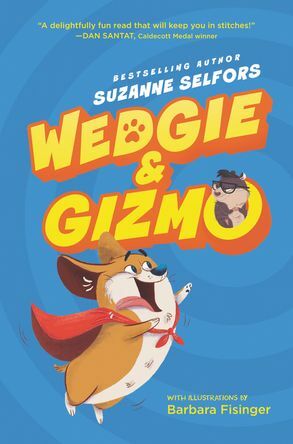 This is the first in a series about Gizmo, a guinea pig, and Wedgie, a dog, the pets of two families who are now living together. The story is told through the alternating perspectives of Gizmo and Wedgie. Both are amusing, as Wedgie thinks he's a superhero and Gizmo is the evil genius who must protect himself from being eaten. As Wedgie and Gizmo are involved in their escapades, Gizmo's owner Elliott is trying to adjust to his newly blended family. This is a fun story and there are lots of pictures throughout. I think some of my more reluctant readers may be enticed to read this one. According to Aster's family, men are trained to be shapeshifters and women are trained to be witches. 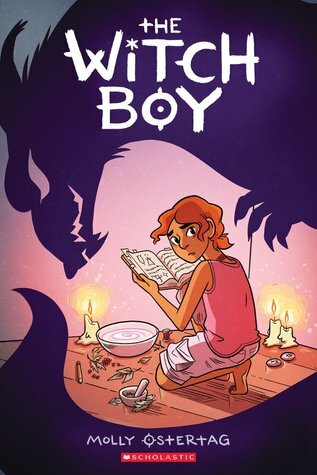 Aster would rather use his magic and powers as a witch rather than a shapeshifter but his family warns him that breaking the family's traditions in this way is dangerous. Those who have ever felt different or out of place will be able to relate to Aster's dilemma. There is lots of magic and action to entertain readers, as well. I think this will be a graphic novel that will be popular with my middle grade readers. This is another book to look for in October. King & Kayla and Wedgie & Gizmo both would be great for my second and third grade students beginning to read chapter books. I cannot wait for my turn reading After the Fall! Heard so many good reviews that I better pre-order now. Wasn't After the Fall just tremendous?!?! I loved it so much! THE WAR is on my TBR soon list--I cannot wait to read it. Lucky you to get to read After The Fall, Lisa. Can't wait to get it! And I do want to read The War I Finally Won. The first one was just wonderful. Thanks also for Auma's Long Run, sounds like one our kids need to read, too. I'm definitely looking forward to After The Fall and The Bad Seed! As soon as my library has them, I'm on it! I am bringing The Bad Seed to school to use for a fun #classroombookaday!